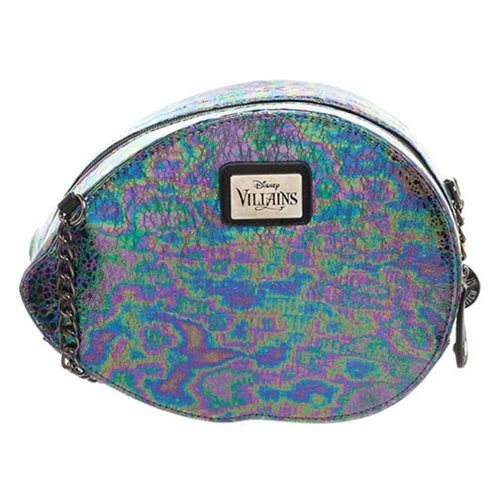 Bring a little of Disney magic with you! 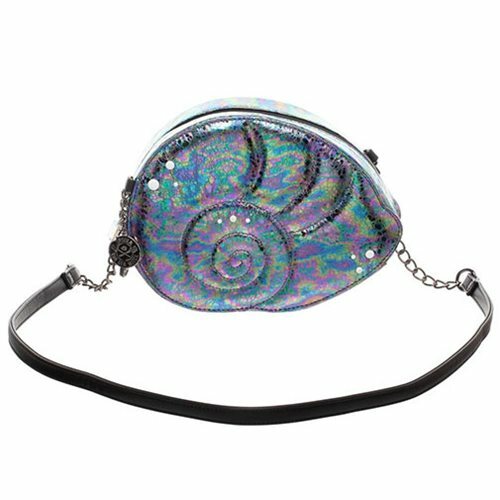 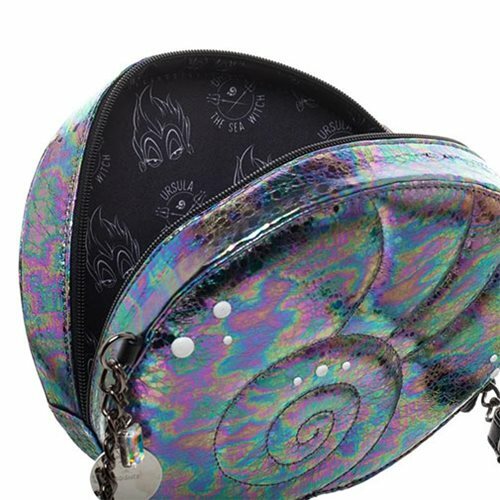 This Ursula Iridescent Shell Purse features a zip closure and includes a metal Ursula charm. 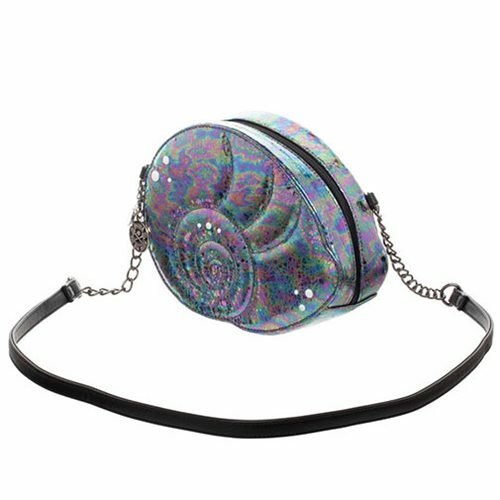 Made of PU, the bag measures approximately 10-inches x 7 1/4-inches x 2 1/2-inches.